Here is a lovely thank you picture to express your thankfulness for your partner. Thank your dear wife/husband for her/his love on you. Say to him/her that you are so grateful for being with him/her. 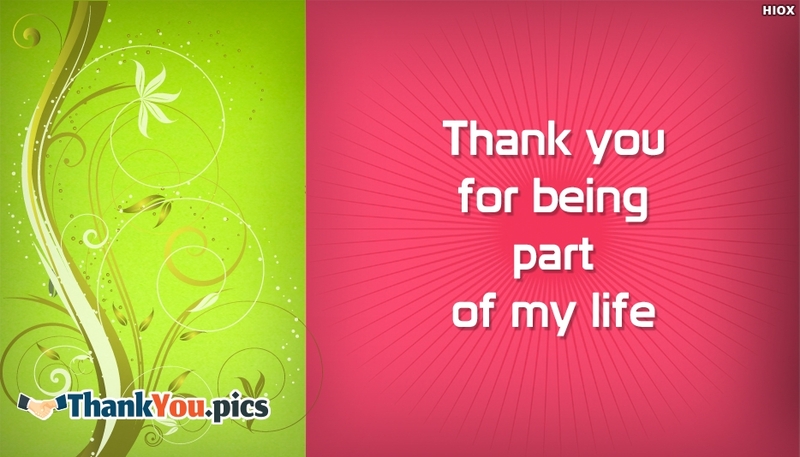 Through this "Thank You For Being Part Of My Life" picture share your love and affection to your wife or husband.